Every once in awhile a baseball game ends with a football score. Learn more about the highest scoring games in baseball history below. Most runs scored in a game, one team. On a summer’s day in 1897 the Chicago Colts dropped 36 runs on the Louisville Colonels. Over 116 years later this still stands as the most runs one team has ever scored in a Major League baseball game. Not much is known about what happened in the matchup of cellar dwellers, since box scores from that time period aren’t publicly available. But one would guess outfielder Bill Lange, who has the Colts’ best hitter, probably had himself a good day. The Baltimore were actually leading this contest — the first game of a doubleheader — 3-0 after three innings. The Rangers went on to score five in the fourth, nine in the sixth, 10 in the eight and six in the ninth for a total of 30 runs, which is the American League record for runs scored in a game. In the second game of the doubleheader, Texas also prevailed, this time 9-7. While nine runs is generally a big score in Major League Baseball game on that day it was letting up. Most total runs scored in game, total. The highest scoring game in Major League Baseball history began as a blowout, with the Cubs jumping to a stunning 25-6 lead. Phillies’ starting pitcher Jimmy Ring was the primary victim of the scoring onslaught, and was tagged fpr 16 runs in just 3.1 innings. The wind must have been blowing out at Cubs Park (now Wrigley Field) because the Phillies were able to storm back, scoring three in the fifth, eighth in the eighth and six in the ninth, to make the final score a respectable yet ridiculous 26 to 23 Cubs victory. Hack Miller (not to be confused with Hack Wilson) was the big hitter for the Cubs, hitting two home runs and driving in six. The Phillies were led by by Russ Wrightstone with his four hits and RBI’s. All the scoring must have worn out the teams’ offenses because when they played the next day only three total runs were scored in a Phillies’ shutout victory. The Red Sox and the Rangers were two of the highest scoring teams in the American League and the ball tends to fly out of Fenway Park in August. So it was no big surprise that the squads would play a high scoring game. But to score the most combined runs in the history of the American League? Well, that would be classified as surprising. The Red Sox jumped out to a 10-0 first inning lead, only to find themselves down 16-14 going into the bottom of the seventh. Boston rallied in the seventh and eighth for a 19-17 victory that was as thrilling as it was high scoring. 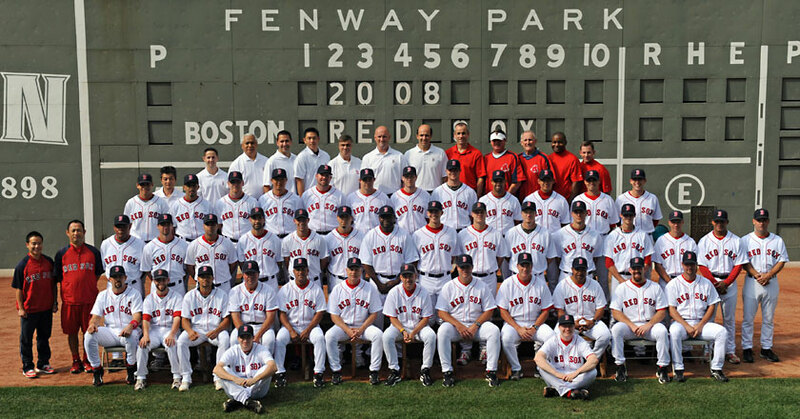 Kevin Youkilis and David Ortiz each hit two homers for Boston and Marlon Byrd had the big offensive day for Texas. It was a first of a three game series for the clubs. The Red Sox would sweep, tacking on 18 more combined runs in the next two games. 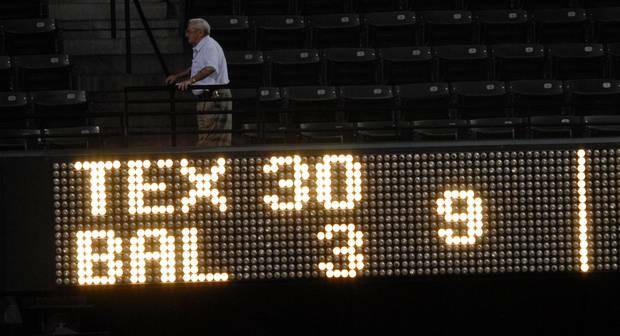 Their 2008 match up with the Rangers was actually the second time the Red Sox had been involved in the highest scoring game in American League history. Fifty-eight years earlier they had also been in contest that yielded 36 runs. Like the later game, this one, a match up with the Philadelphia A’s, started out fast and furious with the Sox taking a 14-7 lead after two innings. 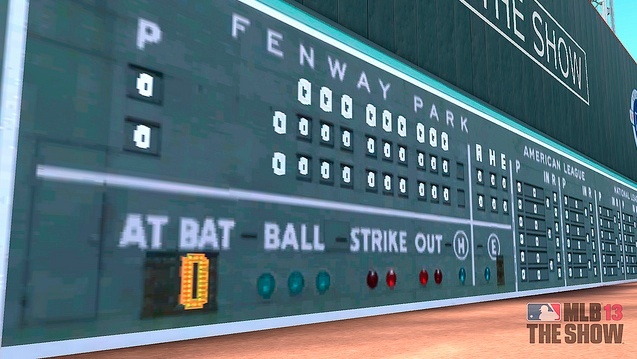 While that furious scoring pace subsided, both teams kept adding on runs and the game ended with a 22-14 Boston victory. 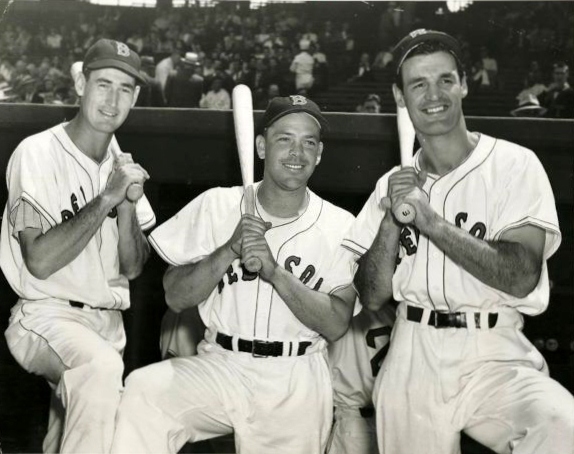 Ted Williams lead Boston’s charge, hitting the games only home run and collecting six RBIs. (Although by finishing two for six the Hall of Famer actually lowered his lifetime batting average!) Leadoff hitter Bob Dillinger did the most damage for the As with his five hits and three RBIs.